Pioneered by John Ehlers in the late 1970s, the MESA method of price pattern analysis uses powerful wave theory analysis techniques, originally developed for the field of electrical engineering, to measure market cycles. MESA systems are currently used by technical analysts the world over. Top brokerages lease them and supply their clients with MESA signals and charts. And MESA systems consistently have been rated #1 by Futures Truth, the consumer reports organization of the futures industry. 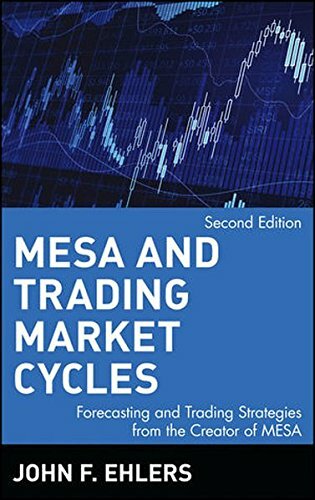 In this highly anticipated Second Edition of his classic work, Ehlers updates his MESA theories and makes them more accessible to a wider trading audience. Completely revised, featuring five new chapters, this new edition incorporates Ehlers's digital signal processing research into MESA. It also includes EasyLanguage programming code that makes it extremely easy for traders to take the leap from theory to practice. If you have any questions about this product by Ehlers, contact us by completing and submitting the form below. If you are looking for a specif part number, please include it with your message.